Narcissism is an often misunderstood and a misused term. There are many questions about it and some strong opinions about it as well. What is narcissism anyway? By listening to this audiobook, you should get a good head start on the problem and perhaps be knowledgeable enough to know what to do next, or at least know where to seek additional information. 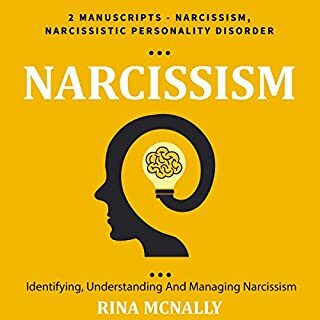 Whether the narcissist in your life is a boss, coworker, relative, or romantic partner, the exercises and advice in Unmasking Narcissism will help you set healthy boundaries and make sense of this complex and often painful issue. In this groundbreaking guide from clinical psychologist Mark Ettensohn, PsyD., you will gain insight into narcissistic behaviors, symptoms, and relationship dynamics. Dr. Ettensohn provides exercises designed to help you clarify your own values and goals for the relationship, whether that means immediate separation or long-term relationship management. In today's social media and selfie-obsessed culture, we are living in an age of narcissism - and a society that often celebrates this potentially harmful trait rather than understanding it as a psychological disorder. Scientists are beginning to learn that narcissism exists on a spectrum - much like autism - and most of us exhibit some mild narcissistic tendencies. 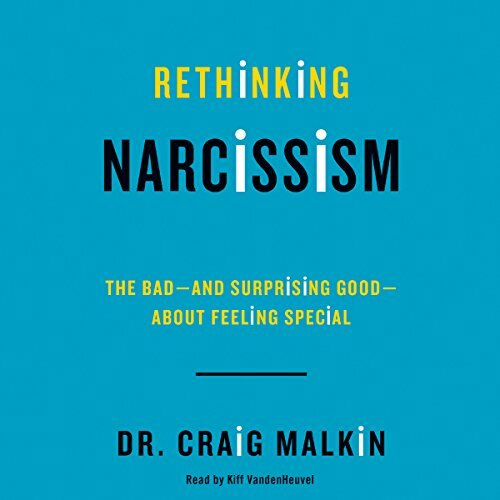 Harvard Medical School psychologist and Huffington Post blogger Craig Malkin addresses the "narcissism epidemic" by illuminating the spectrum of narcissism, identifying ways to control the trait, and explaining how too little of it may be a bad thing. "What is narcissism?" is one of the fastest rising searches on Google, and articles on the topic routinely go viral. Yet, the word narcissist seems to mean something different every time it's uttered. People hurl the word as an insult at anyone who offends them. It's become so ubiquitous, in fact, that it's lost any clear meaning. The only certainty these days is that it's bad to be a narcissist - really bad - inspiring the same kind of roiling queasiness we feel when we hear the word sexist or racist. That's especially troubling news for millennials, the people born after 1980, who've been branded the "most narcissistic generation ever". In Rethinking Narcissism listeners will learn that there's far more to narcissism than its reductive invective would imply. The truth is that narcissists (all of us) fall on a spectrum somewhere between utter selflessness on the one side and arrogance and grandiosity on the other. A healthy middle exhibits a strong sense of self. On the far end lies sociopathy. Malkin deconstructs the healthy from the unhealthy narcissism and offers clear, step-by-step guidance on how to promote healthy narcissism in our partners, our children, and ourselves. The old narcissism spectrum ("normal" to NPD) was incomplete. I always wondered where the "enablers/narcissistic supply" of the "Human Magnet Syndrome" came in. Turns out, echoists are narcissistic in their own way. Like the classic narcissist, their needs have gone unmet and they are "addicted" to meeting them in unhealthy ways. Differing from the classic narcissist, their unhealthy coping mechanisms mostly only hurt themselves, so they are not vilified. And their plight has gone overlooked. This re-imagining of the narcissism spectrum to run from Echoist (lack of healthy narcissism) to "Healthy Narcissism" (aka normal) to Extreme Narcissism (NPD) is brilliantly and clearly communicated here by Craig Malkin. Excellent information and Malkin addresses topics we don't often see. Examining healthy narcissism, social media, and our own levels of healthy and negative narcissistic behavior. The very unusual viewpoint of actually making headway with healing or narc partners is discussed, and refreshing, however this is the point in which I'm heeding others to be cautionary. was better equipped for a faster recovery from the verbal attack. Would have given it three and a half stars if I could. It's a pretty good intro to a healthy view of narcissism. Slow start and the ending was a little shallow. Would you try another book from Craig Malkin and/or Kiff VandenHeuvel? This was an interesting book; the first I've read that really gives a framework for understanding the degrees of narcissism and its impacts. Also, one of the first I've read that believes change is possible for higher degree narcissists. I enjoyed the book's story examples of people on the narcissism spectrum, how it affected their lives and the lives of those around them, and practical tips for dealing with either one's own or other's behavior. The parenting advice was sound and although not why I got this book, the thing I personally got the most from. I disagree with some of the other reviewers that this books implies that nearly everyone is pathological to some degree. Through the included inventory, I learned that I may need to work on upping my level of healthy narcissism so that I don’t slip into “Echoism” (kind of the mirror image of narcissism), which I found really interesting. I do agree with another reviewer who felt that the book is somewhat dismissive of the destruction and chaos narcissists can bring to those within their orbit. His lower level experiences with his mother (a semi-high spectrum narcissist) may have colored his view a little rosier than those who've had a high level narcissist rip their lives to shreds would have. He does address it, but strangely, merely gives a passing reference to the emotional devastation that loving a narc can leave you with. His suggestion to try marriage counselling with someone who you suspect is a high level narcissist seems especially dangerous. I've never heard of it coming out any other way than a catastrophe, up to and including the narcissist convincing the therapist their partner needs to be committed or is abusive. Most experts agree that going to counselling with a narcissist is dangerous and advise against it. The author just doesn't seem to know how maliciously manipulative and vindictive people like this can be and just barely touches on emotional abuse, which is nearly a given from a person with unhealthy levels of narcissism. His main information for what to expect after leaving a narcissist, is that you may be bored with normal people. There is no mention of either devalue or discard, let alone the PTSD, smear campaigns, and constant legal battles one could be left dealing with for years. There are other books that deal with the fallout and how to heal afterwards, so perhaps Dr. Malkin is making his own place in the field by avoiding the topic. The book overall is easily understandable, accessible, and concise. More depth is one of the main things I would have liked to see, but I enjoyed the book as a whole. 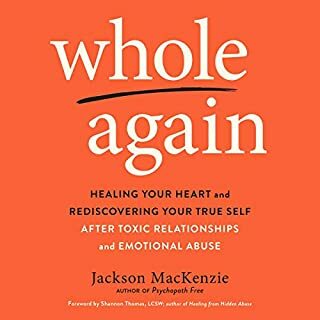 If he published an expanded version, especially one that touched on healing from the kind of abuse only someone high on the Narc Spectrum can dish out, I would definitely buy the second edition. I learned a lot about myself and the world around me, so if you’re looking for a typical, but well written and interesting self-help book, this is a good pick. My narcissist lost all control over me! Would you consider the audio edition of Rethinking Narcissism to be better than the print version? Dr.Malkin is writing based on his own life experience and his patient stories. Its not just theory. Its theory with facts and proof. Advice on how to deal with Narcissist you can't run away from: your husband, your family member. If you could give Rethinking Narcissism a new subtitle, what would it be? Life saving tools to releasing grip of narcissist in your life. Absolutely amazing book. For years I knew something was wrong with my dad but I couldn't quite place it. This books explains my whole life. All my patterns are in this book. Moreover I can explain behaviour of many of close friends. I highly reccomend this book. I think it will provides helpful insight for not only dealing with the narcissists but for all manner of human interaction. I'm a clinical psychologist who works with many "Echos and Narcissists" in my psychotherapy practice. This book's spectrum approach to understanding narcissism is positive and well explained. Dr Malkin's writing is clear and approachable without being technically dense or overly simplistic. The narration of this audio book couldn't have been more perfect. And I didn't catch a single mispronunciation in the entire narration, always a pleasure. I will definitely be recommending this book to many of my clients. I wasn't convinced that I was going to like this book, but it really impressed me. I found it extremely helpful in organizing my ideas about narcissism.I highly recommend it to anyone with even the slightest curiosity. The narration is excellent, but I might suggest to the narrator that when he adjusts his really fantastic reading voice to be "female" that he do it less breath-y and vulnerable. It felt like a lousy sterotype - the helpless, fragile female. But man, when he's reading in his normal voice, which is 95% of the time, it's extremely enjoyable to listen to him read. Very positive experience with the book! So glad to have listened to it! 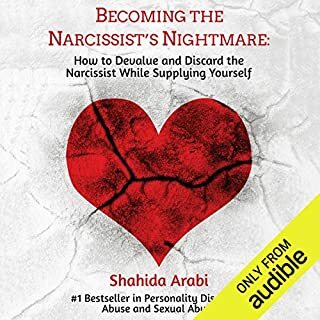 After reading many books about this topic, I find the focus and the practical explanation of how the narcissist spectrum works in this book fantastic. For the first time I hear a research based description of how this epidemic affect us, real cases and a neutral realistic analysis about this rasing problem. 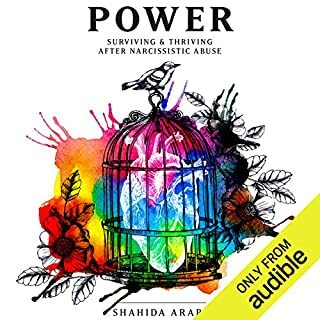 If you are being abused by a narcissist this book might not suit your needs at the start of your recovery. 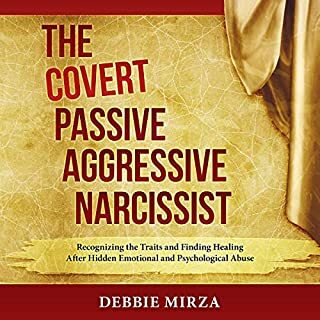 It is more an informative supporting tool to understand where the narcissist behavior comes from and how to deal with it in general. If you are or recently were a victim, the emphatic approach of this book will perhaps be rejected by your broken soul that needs emotional support and healing first. If you think you are a narcissist yourself this can help a great deal,. It's the only book I have so far that doesn't attack and describe narcissists as horrible monsters. Instead, it points out the root of this personality disorder and the consequences people around experience out of this important issue. I cannot remember the last time I finished a book reading visually or listening where I had to say to myself throughout the process especially towards the last few chapters I had to stop and say oh my gosh wait who is this guy again even though I know exactly who he is I have been engaging online with YouTube ever since my 1st real paradigm/existential breakdown after some very a some very borderline psychopathic or pathological personalities in my life... I am no longer saying covert narcissism because I was listening to the fact that this is not a medical or a legitimate term to be using. I am using my Bluetooth to say this also I apologize for the lack of punctuation and if you could just meet me in the middle and forgive me for I just genuinely don't wanna forget or put off for a minute my experience with this book it is a Self Help book I guess technically by every sentence is literally poignant and terse and intelligent and also thoughtful and well just simply useful I wish I could speak to so many individuals about this book right now and run to them but I'm going to tame the Echo and just process on my own. I'm crying a little bit now thank you for this book. Excellent take on what is a growing problem, thanks in part to social media and the Internet. Unbiased and insightful it helped me to understand the people around me much more. I would recommend everyone to read this book. Many will not know they are living with an echo it's or Narcissist. With excellent advice on hope to deal with them. There is hope! I got this book as I wanted to understand more about a guy I had started dating that I could see Narcasstic traits in him. What unfolded as I listened to each chapter, was an insight into much of my own behaviour patterns, my parents and how I too slide up and down the scale. This has pointed out valuable revelations about friends, and colleagues behaviour. I enjoyed how there is constructive guidance on language to use and how to manage yourself and others, also the positive spin that we are told narcasstic values are negative but in fact can be the opposite. I'm starting listening to the whole book again tomorrow, and recommended this to several friends. Invaluable advice for life! Gives great insight into the human need to feel important and when this is sought in healthy and unhealthy ways. Really enjoyable read. Has helped me understand Narcissism much better and even challenged my prior beliefs. A must-read for everyone. The best book on the subject so far, and I have read many. Thanks author. One of the best books I've ever had about narcissism. Outstanding performance by the narrator. This short book on narcissism is not particularly assistive in understanding a complex issues. Poorly written and researched, and not a great deal to learn beyond which I already know. Would you listen to Rethinking Narcissism again? Why? I found this book to be a very interesting listen around Narcissism and the spectrum of different scales. I am listening to this book for a 2nd time as I believe I am on the darker scale and I am using this as a first step towards dealing with my emotions. What other book might you compare Rethinking Narcissism to, and why? This is the first book I have listened too. Have you listened to any of Kiff VandenHeuvel’s other performances? How does this one compare? The narrator was very pleasant to listen to and I found both his reading and acting of different situation to be very captivating. Once you diver deeper into the different scales and how to deal with them. I found that taking the advise to apply on others may work when applying on myself. I am also going to try and get my partner to listen to this book to try and better understand the feelings I have. I've read a lot of articles from well meaning authors who have clearly suffered from narcissistic abuse, but their experiences seem to have coloured their points of view. This author by contrast patents an empathetic, yet responsible alternative perspective, and it was deeply moving, prescient and valuable. I'd go so far as saying it, and my recent experiences have passively changed my life. The reader of this audio book is also excellent. Incredibly refreshing take on this topic! An absolute brilliant read. Well rounded in its research and approach creating a much more constructive conversation on this important topic. Highly recommend. Thank you Craig Malkin. 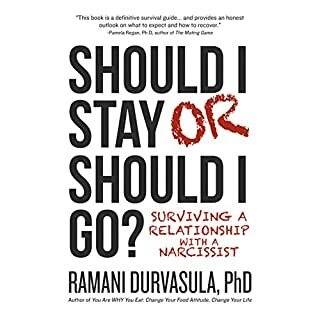 A must read for understanding the narcissist in yourself and your life. You won't be disappointed.